Need medical care now? Concerned about the cost of treatment and saving time? You don’t have to compromise with Compass Urgent Care. Accepting most insurance, we offer affordable urgent care to Mobile, AL residents. 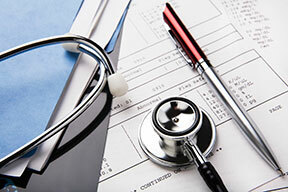 Most health plans offer payment coverage for urgent care visits. Please check with your health plan’s customer service department to determine your level of coverage. No insurance? No problem! We also accept cash, personal checks, debit, and credit cards. If you need to discuss your account or make payment arrangements, please contact our office at (251) 633-CARE. For quality medical attention, trust Compass Urgent Care to provide fast service, covered by most insurance, to patients in need of immediate care in Mobile, AL.